When your mother told you to finish all of your vegetables, she was definitely onto something. In 2010, the USDA and Department of Health and Human Services jointly published their new dietary guidelines, which suggest increasing the amount of vegetables in your diet. Vegetables are chock-full of important nutrients that provide a wealth of health benefits, including a reduced risk of cardiovascular disease, type 2 diabetes, macular degeneration, some cancers and diverticulitis. 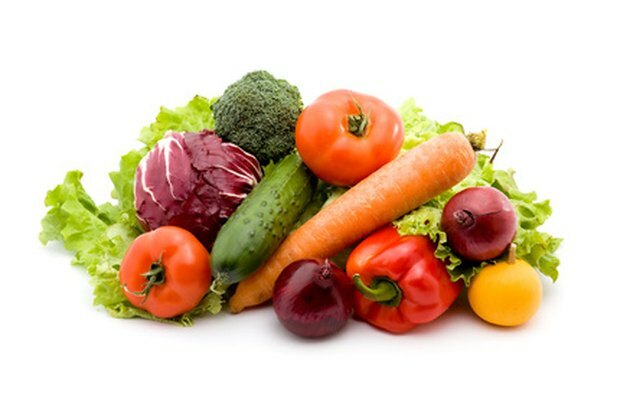 Snacking on raw vegetables is a quick and easy way to add vegetables to your diet. The new USDA and HHS recommendations for vegetables are specifically geared toward ensuring that you get enough of several important nutrients, particularly fiber, folic acid, potassium and vitamins A and C. The report suggests getting 2-1/2 cups, or five to 13 servings, of vegetables and fruits each day. One of the easiest ways to add more vegetables to your diet is by having raw vegetables for snacks and in salads. Vegetables are nutrient-dense foods, meaning they are low-calorie and pack a lot of punch nutritionally per serving. 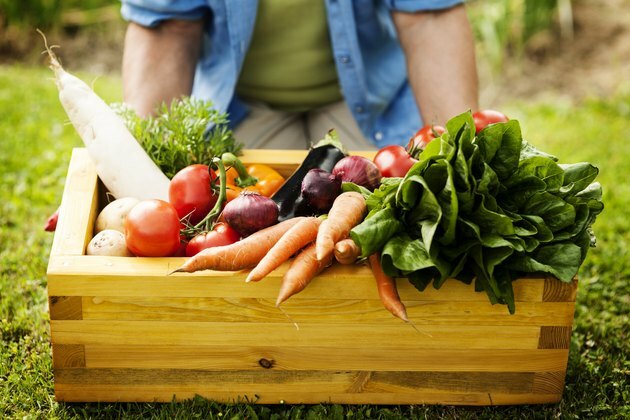 If you lead a busy lifestyle and need to grab a snack quickly, raw vegetables can fit the bill. Dark green vegetables get their color from chlorophyll, a natural plant pigment. Green peppers, cucumbers and dark leafy greens such as spinach can be eaten raw to reap their health effects. According to food and nutrition specialist Julie Garden-Robinson, Ph.D., L.R.D., these vegetables contain lutein which, along with zeaxanthin found in some yellow vegetables, helps reduce the risk of macular degeneration. 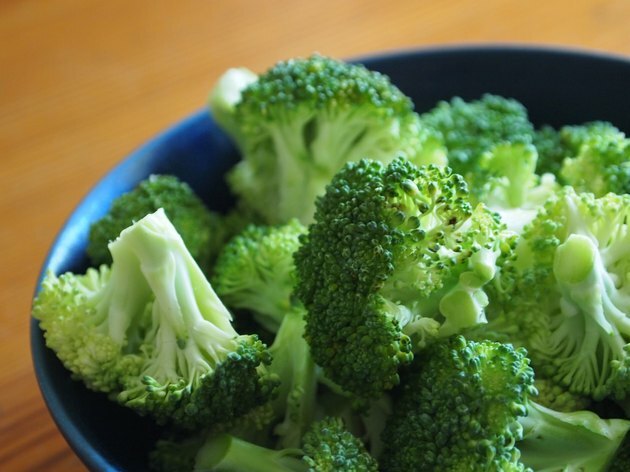 Broccoli and spinach are both sources of folic acid and can easily be eaten raw. Beet greens are rich in potassium and can be added to a salad. Other nutritious green vegetables eaten raw are leafy lettuces and avocados. The red vegetables typically contain a generous amount of the powerful antioxidant pigment called lycopene, or anthocyanin. 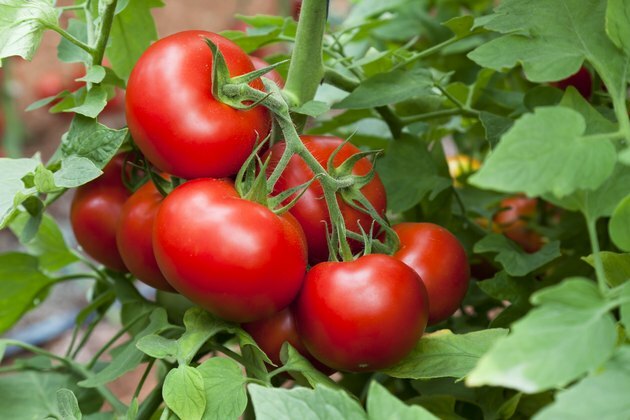 Although tomatoes are technically a fruit, they are used as a vegetable and are listed as one. Tomatoes also are definitely on the list of healthy red vegetables that can be eaten raw. Harvard School of Public Health states tomatoes and other red vegetables containing lycopene, which the body converts to vitamin A, may protect against cancer of the prostate, lung and mouth. Other red vegetables that are delicious eaten raw are red bell peppers, radishes and red cabbage. Red peppers are also a source of vitamin C.
The orange and yellow vegetables get their color from plant pigments called carotenoids, which exist in several forms. 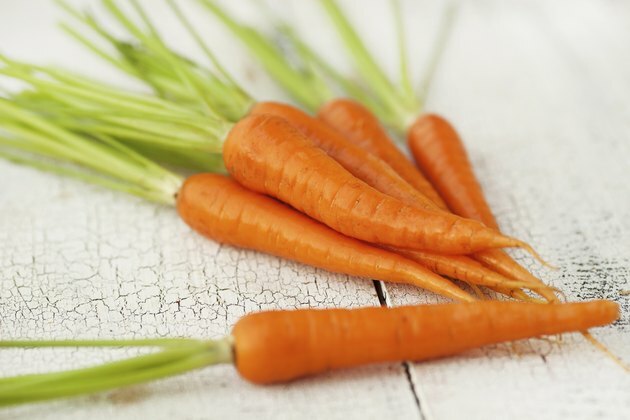 It is well-known that carrots are high in beta-carotene, which is also converted to vitamin A by your body and works to maintain your immune system, vision and the integrity of your mucous membranes. Of course, carrots can be eaten raw, as can yellow peppers, yellow squash and yellow tomatoes. Carrots are also high in potassium. 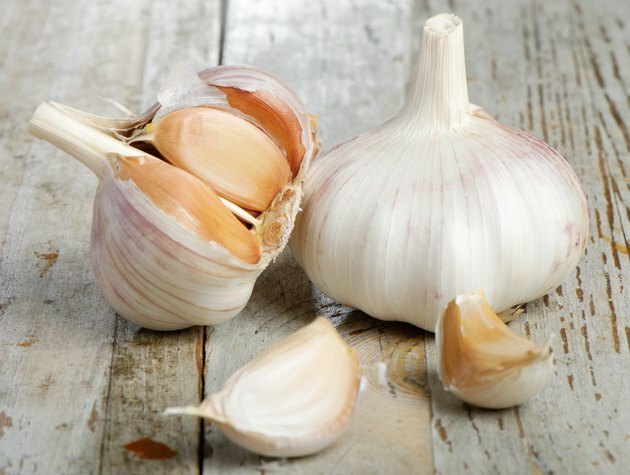 White vegetables that can be eaten raw include onions and garlic. These white vegetables contain the plant compound allicin, which may help lower high blood pressure and cholesterol levels, and reduce the risk for heart disease and stomach cancer.